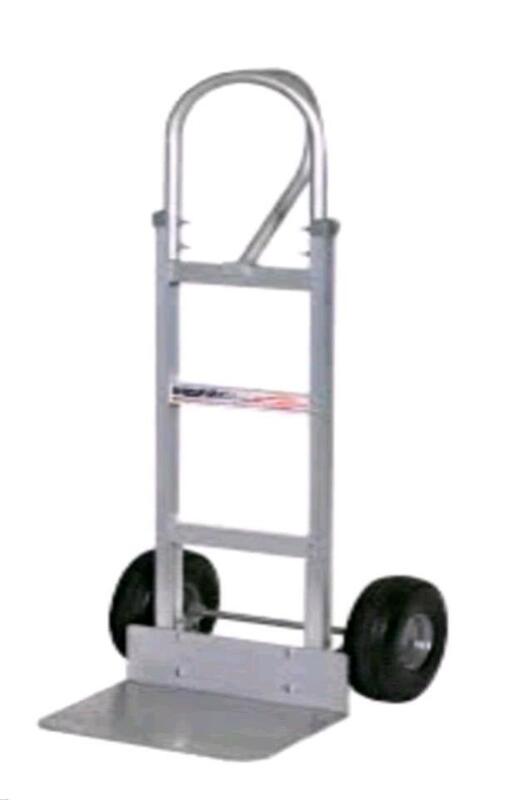 This hand truck has a weight of 28lbs, with dimensions of 48" H X 20" W and has 8" wheels. The tongue has dimensions of 8" D X 15" W. It has 100lb capacity, and does not come with straps. 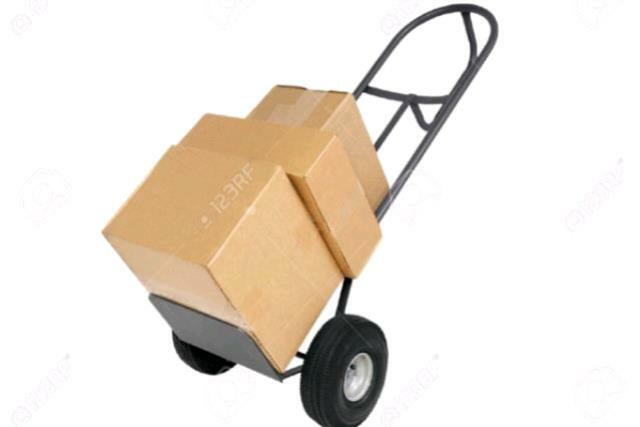 Its great for moving boxes etc. Do not drop on wheels, and do not exceed weight limit.